Living in the UK, you quickly learn that you can't trust the weather to indicate the arrival of summer. For DnB heads, though, there's a far more reliable signal to gear up for festival and holiday season. And now it's here. Yes, Technique's Summer 2017 LP has dropped, and it's done so with Richter-troubling force. For a start off, it's a monumental fifty-one tracks deep (with two continuous mixes from Muffler thrown in for good measure) featuring contributions from all corners of the drum 'n' bass scene. For example, Viper bosses Matrix & Futurebound pass through, with the insane 8-bit video game riffs of Scatterbrain. Brookes Brothers deliver the stripped-back R&B-flavoured Good to Me. Invaderz underpin jazz keys with rolling beats in Gruisin. And, who would have predicted the appearance of two cuts from the mighty Aquasky? Plus, of course, the regular Technique roster are out in force. New signings T-Phonic & Deadman give us an instant-classic junglist workout, complete with thundering breaks and savage Reese bass. We've got MaxNRG doing crazy things to melodies in Soul Fever, two pieces from Document One, Tantrum Desire's Gravitate, L Plus's dancefloor bubbler Going Away, tracks from Spectrem...and that's before we even get onto the contributions from label chiefs Drumsound & Bassline Smith themselves. And that's still barely touching everything this compilation has to offer. Euphoric jungle from Brian Brainstorm in The Trophy. The twilight liquid of Forever from SKMA. Uncategorisable bleep and bass madness in Needle from Tapolsky & VovKING. Minimal darkness from War Machine in Detector. This album covers the full spectrum and then twists the dial a few notches more. It might say Summer on the cover, but this is far more than a collection of festival tunes. 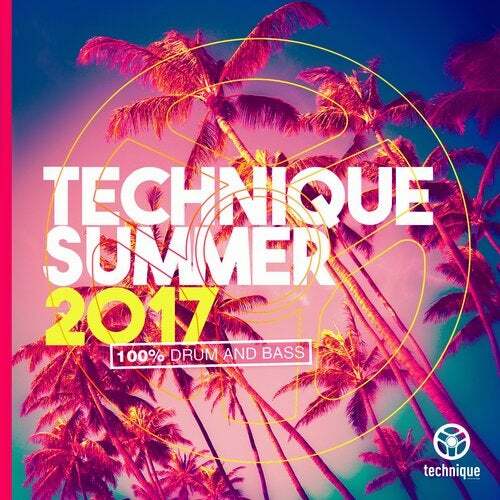 From shadow to sunlight, Drumsound & Bassline Smith have curated a collection that displays the full gamut of what DnB has to offer in 2017. Just dive in, they're about to take you on a journey.